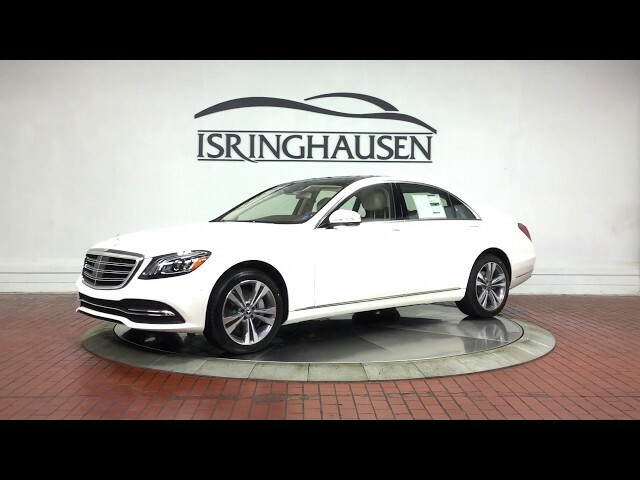 Factory options on this 2019 Mercedes-Benz S 450 in designo Diamond White include Premium Package, Driver Assistance Package, Heated Front & Rear Seats, 19" Wheels and much more. With a timeless and thoughtful attention to detail, the Mercedes-Benz S-Class continues to be the standard in luxury sedans. From it's advanced technology to design, the attention to detail is unmatched. Contact a Mercedes-Benz specialist by calling 877-362-9715. Isringhausen Imports is Central Illinois' premier new car, used car and certified pre-owned (CPO) dealership for quality Mercedes-Benz vehicles. At Isringhausen Imports, we have become a leader in the industry by working each day towards the greater good of our customers, our fellow employees, and our community. Purchased several vehicles from Isringhausen and always highly satisfied with my salesman, and service provided after the sale is a plus! !